Ideal for a family or a group of friends, Old Post Office is a pretty stone-built holiday cottage and, as the name implies, was the estate's own post office until the 1970s. 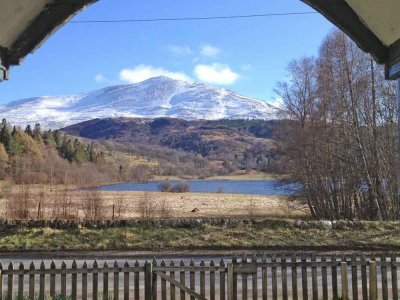 It stands by a quiet road with spectacular views over Dunalastair Loch to the famous mountain, Schiehallion, half of which belongs to the estate. 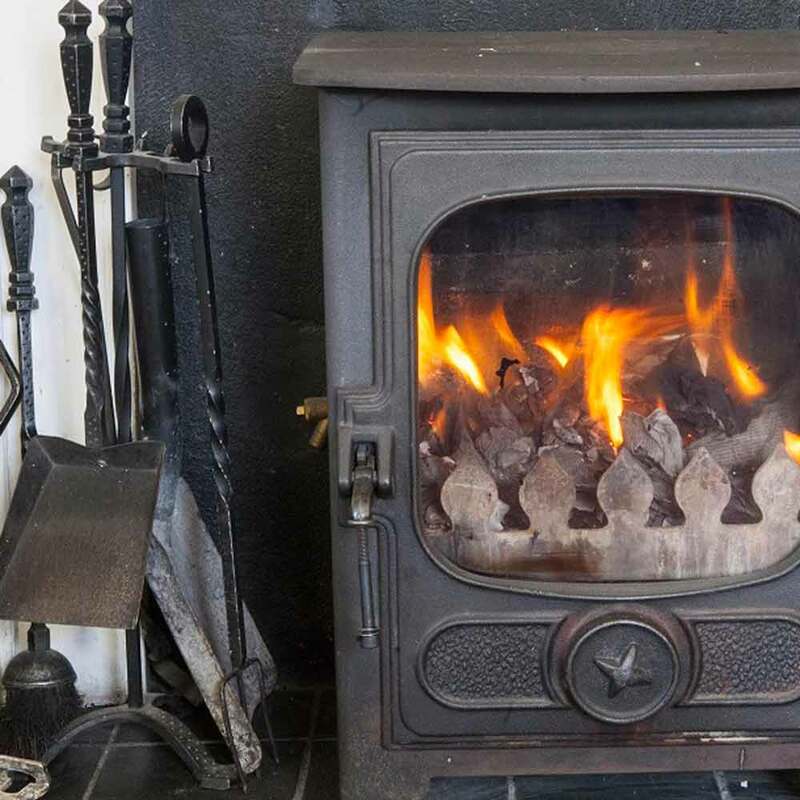 The cottage is all on one floor and the sitting room, recently redesigned for even more comfort, faces the views and has sofas and chairs surrounding the cosy woodburning stove. There is a bookcase full of books and a TV with Sky, DVD player, radio/CD player, wifi, lamps, and coffee table. The cottage has now (March 2019) been double-glazed throughout for extra cosiness. The kitchen/dining room, which has been totally redesigned with brand new kitchen and comfortable seating area, has a view of the loch and a small birch wood filled with daffodils in spring. It is fully equipped with everything you could wish for. There is a twin bedroom looking over fields and hills, with dressing table, chests of drawers and wardrobe. The beds can be linked to make a superking. 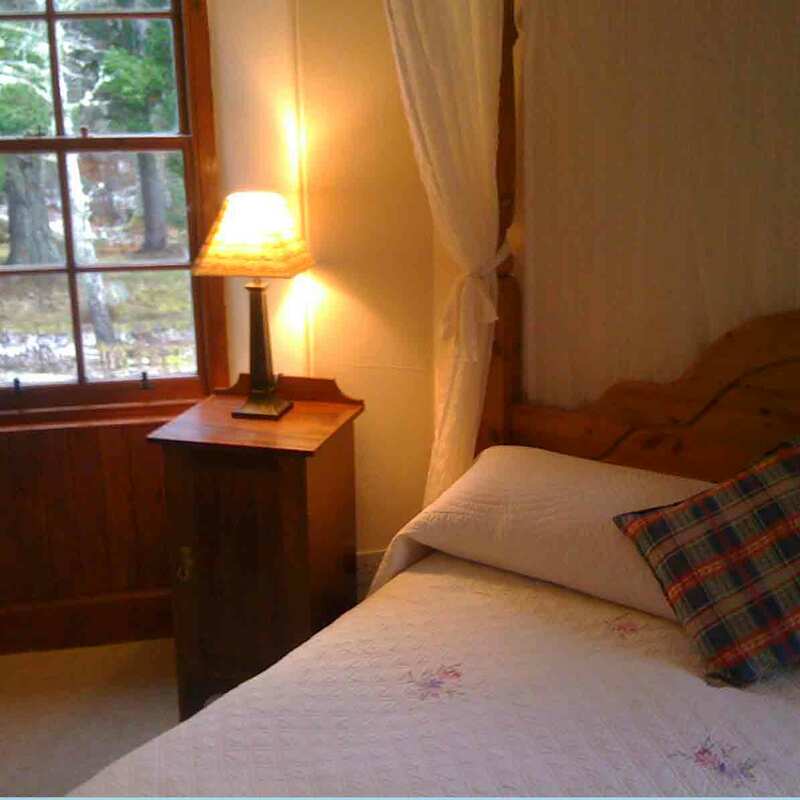 A smaller twin bedroom with lovely view west has two single pine beds, chest of drawers and hanging cupboard. The double bedroom has a kingsize double bed and has a lovely view west towards the hills. It has chest of drawers and wardrobe and a handbasin with shaver point. The newly renovated bathroom has shower/bath, basin and WC. You can walk directly from the cottage along a track next to the loch and from there off road past the ruined mansion house to the hills behind. This lovely holiday home has an enclosed garden with tubs, roses and clematis. A burn (stream) runs through it and an old-fashioned working red (public) telephone box stands nearby. The front garden is enclosed within the garden to keep small children away from the burn. 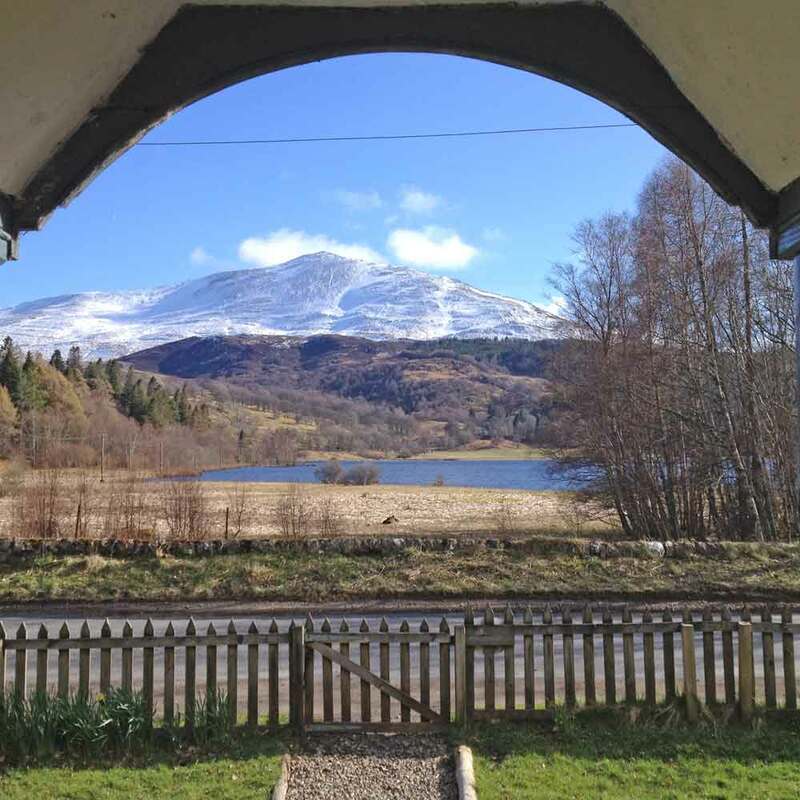 Many interesting birds can be seen on the loch, together with red squirrels, otters, pine marten and other rare wildlife in the surrounding area. The wild orchids along the lochside in the spring are magnificent and there is an abundance of other wild flowers. In winter there are whooper swans visiting the loch, which is a lovely sight and sound, in summer the ospreys can be seen above the loch. A free fishing permit is included so you can fish for trout or pike on the river and, on Dunalastair Loch, where you can fish for trout only. Boat fishing only on the loch. See Fishing for details.